Ever thought to yourself “That'll be the title of my memoir.” Or literally always saying “story of my life"? Take your funny book title idea (bonus points for illustrations) and learn how to translate it into an embroidered piece of art. BYO design or borrow from a pool of ideas. Let’s hope for sun, so class can take place on the back patio at Colony Club! Linny is an artist passionate about textile art. 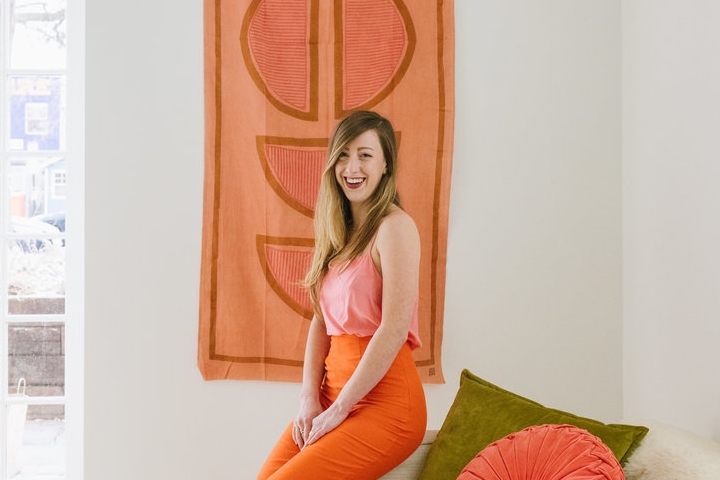 She co-founded The Lemon Collective in 2015 after leaving her career in teaching to pursue art and business. She loves creating large scale installations, scouring Estate Sales and Netflix fo life.